A peer exchange network for performance improvement practitioners. How will phPIN help me? Are you a member of a state, tribal, local, or territorial health department whose job includes quality improvement or accreditation activities? Do you play a role in advancing performance improvement efforts in public health organizations? Are you committed to ensuring that your organization’s processes and programs run more efficiently and effectively? Are you developing tools and resources to help your organization meet its full potential? If you responded yes to any of these questions, then phPIN is for you! 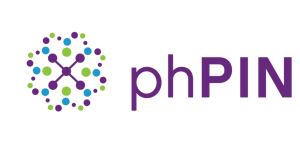 To join the peer exchange network, use the form below to share your your name, organization, job title, performance improvement area of interest, and a note about how you heard about phPIN. Our staff members will review your information and add you to the phPIN listserv. Tap into the collective knowledge of the nation’s performance improvement practitioners today! If applicable, please indicate which Affinity Group you are requesting to join.